Conditions on Earth for the first 500 million years after it formed may have been surprisingly similar to the present day, complete with oceans, continents and active crustal plates. This alternate view of Earth’s first geologic eon, called the Hadean, has gained substantial new support from the first detailed comparison of zircon crystals that formed more than 4 billion years ago with those formed contemporaneously in Iceland, which has been proposed as a possible geological analog for early Earth. This perception began to change about 30 years ago when geologists discovered zircon crystals (a mineral typically associated with granite) with ages exceeding 4 billion years old preserved in younger sandstones. 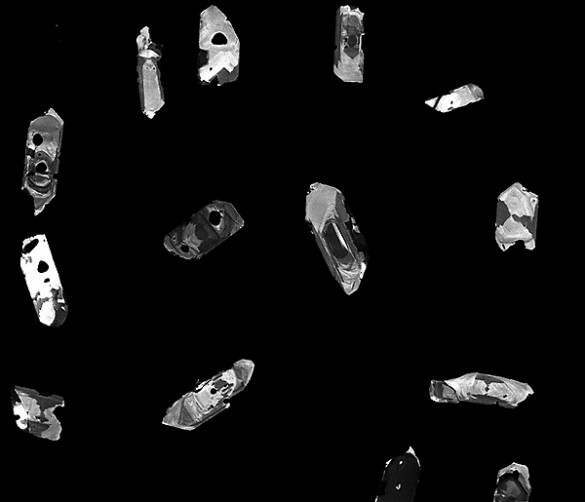 These ancient zircons opened the door for exploration of the Earth’s earliest crust. In addition to the radiometric dating techniques that revealed the ages of these ancient zircons, geologists used other analytical techniques to extract information about the environment in which the crystals formed, including the temperature and whether water was present. Since then zircon studies have revealed that the Hadean Earth was not the uniformly hellish place previously imagined, but during some periods possessed an established crust cool enough so that surface water could form – possibly on the scale of oceans. Accepting that the early Earth had a solid crust and liquid water (at least at times), scientists have continued to debate the nature of that crust and the processes that were active at that time: How similar was the Hadean Earth to what we see today? 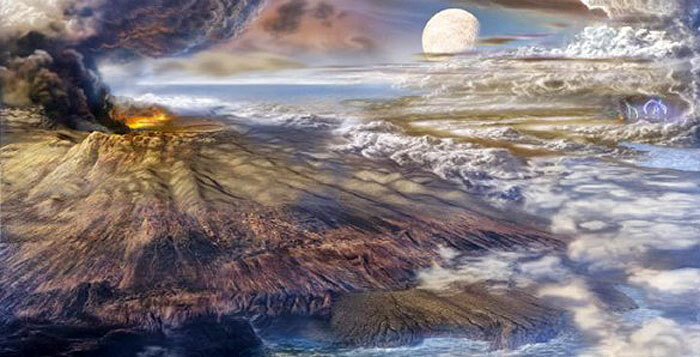 Two schools of thought have emerged: One argues that Hadean Earth was surprisingly similar to the present day. The other maintains that, although it was less hostile than formerly believed, early Earth was nonetheless a foreign-seeming and formidable place, similar to the hottest, most extreme, geologic environments of today. A popular analog is Iceland, where substantial amounts of crust are forming from basaltic magma that is much hotter than the magmas that built most of Earth’s current continental crust. “We reasoned that the only concrete evidence for what the Hadean was like came from the only known survivors: zircon crystals – and yet no one had investigated Icelandic zircon to compare their telltale compositions to those that are more than 4 billion years old, or with zircon from other modern environments,” said Miller. 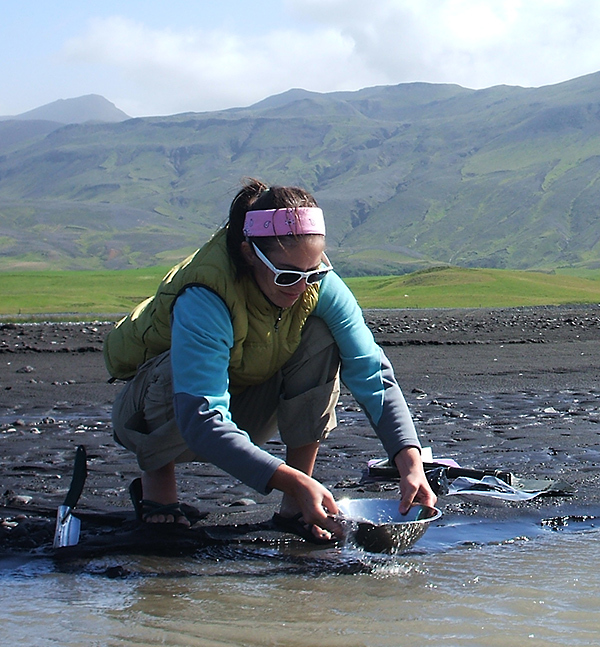 In 2009, Vanderbilt doctoral student Tamara Carley, who has just accepted the position of assistant professor at Layfayette College, began collecting samples from volcanoes and sands derived from erosion of Icelandic volcanoes. She separated thousands of zircon crystals from the samples, which cover the island’s regional diversity and represent its 18 million year history. Working with Miller and doctoral student Abraham Padilla at Vanderbilt, Joe Wooden at Stanford University, Axel Schmitt and Rita Economos from UCLA, Ilya Bindeman at the University of Oregon and Brennan Jordan at the University of South Dakota, Carley analyzed about 1,000 zircon crystals for their age and elemental and isotopic compositions. She then searched the literature for all comparable analyses of Hadean zircon and for representative analyses of zircon from other modern environments. “We discovered that Icelandic zircons are quite distinctive from crystals formed in other locations on modern Earth. We also found that they formed in magmas that are remarkably different from those in which the Hadean zircons grew,” said Carley. Most importantly, their analysis found that Icelandic zircons grew from much hotter magmas than Hadean zircons. Although surface water played an important role in the generation of both Icelandic and Hadean crystals, in the Icelandic case the water was extremely hot when it interacted with the source rocks while the Hadean water-rock interactions were at significantly lower temperatures. The study was supported by National Science Foundation grants EAR-1220523, EAR- CAREER-0844772 and DGE-0909667, and research grants from the National Geographic Society and the Keck Geology Consortium.